Quick detour south on route to the north Norfolk Coast. Went here with my mother-in-law many years ago. Mirror image of mine today (highly likely as we were there together). Striking difference in filters and the contrast of Lumix/Canon. Great building, but looking a tad run down. NT needs to spend some money methinks. Does anyone live there now ? An impressive building. Nice shot. 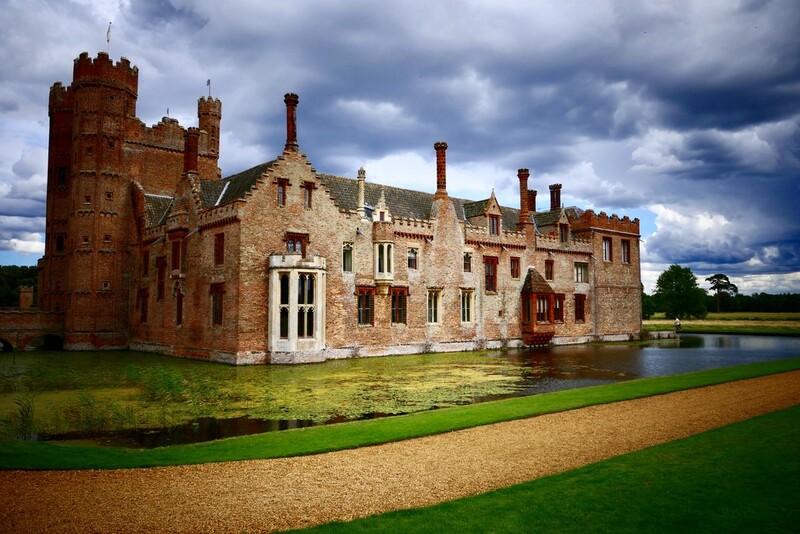 I live about 14 miles from Oxburgh Hall. Lovely place and a lovely photo. Clouds have been like that all day - one minute sunny, next minute grey and wet. Makes for a very dramatic backdrop! Are you and Phil competing ? Love the light on the Hall -- must be sunshine after the storm ! Such a beautiful building! Love the whole scene. Lovely photo - looks very typical of yesterday's weather! Beautiful old Tudor building. I must say I wouldn't like to live there in the winter as it must be very draughty and cold. Magnificent shot. Beautiful shot and scene. @phil_sandford @boatman137 @suzanne234 @henrir @gillian1912 @casablanca @paul10 @ludwigsdiana @lyndamcg @lynnz @365projectorgjenfurj @mandygravil @claudiet @elisasaeter @sangwann thanks all for your comments & favs & for getting this to the pp & tp pages, much appreciated. @happysnaps thank you, yes Valerie there is a moat. @gardenfolk @beryl just a bit of friendly competition, no fights, I promise!